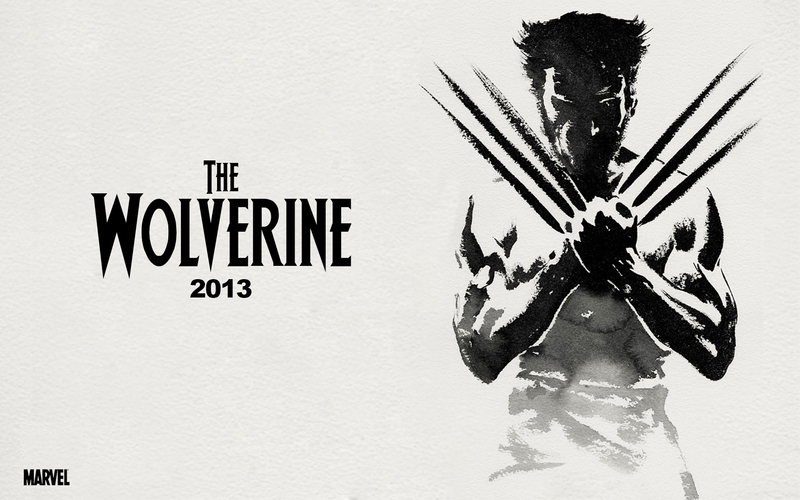 Review: The Wolverine – Geek Girls Rule!!! Wolverine returns after a four year absence from the big screen in a well-made effort that’s solid rather than spectacular. After the events of X-Men: The Last Stand, Logan aka Wolverine (Hugh Jackman) is living alone in the Canadian wilderness and having nightmares about former teammate Jean Grey (Famke Janssen), who died at his hands in that film. Tracked down by a mysterious young woman naked Yukio (Rila Fukushima), he returns to Japan with her at the behest of Ichiro Yashida (Haruhiko Yamanouchi), a man whose life he saved in Nagasaki in 1945 (the young Ichiro is played by Ken Yamamura in flashbacks). When Logan suddenly loses his mutant healing ability, can he survive an onslaught of ninjas and yakuza without it? Director James Mangold (Kate & Leopold, Walk the Line) handles all aspects of the production, from character drama to action scenes, in a workmanlike fashion, and delivers a few ace scenes (like the bombing of Nagasaki and later a fight on top of a bullet train), but the film doesn’t elevate itself (and, truthfully, we’ve become spoiled by Marvel’s in-house productions in recent years, e.g. The Avengers and the films leading up to it). One wonders what might have been had Darren Aronofsky (Requiem for a Dream, Black Swan) not left during the development stage. The screenplay by Mark Bomback (Live Free or Die Hard, the Total Recall remake) and Scott Frank (Minority Report, Marley & Me), with an uncredited contribution by Christopher McQuarrie (The Usual Suspects, Jack Reacher), is loosely based on the 1982 comic book miniseries written by Chris Claremont and pencilled by Frank Miller. It’s solidly written, with some decent exploration of Logan as a character and his choices, but at times it’s a bit flat and slow paced. Is The Wolverine better than 2009’s X-Men Origins: Wolverine? Yes, it’s more coherent as a story, but at times it lacks the excitement of that film’s pyrotechnics. Early in development, this was promised to be an R-rated film, but the final result is an anemic PG-13. It feels like over the course of its development, the film was toned down. Also, there’s something that happens with Wolverine’s claws late in the film that isn’t adequately resolved by the end (and I can’t imagine him not being back to status quo in next year’s new X-Men film). Cinematographer Ross Emery (The Cave, Underworld: Rise of the Lycans) delivers some polished imagery, its palette heavy with blue and orange. Despite being filmed mostly in Australia, production designer Francois Audouy (Abraham Lincoln: Vampire Hunter) creates a believable Japan and Canada. The score by Marco Beltrami (Hellboy, World War Z) appropriately underscores the drama and action. The visual effects are largely up to snuff, although a CG grizzly bear looks patently fake (have they no trained bears in Australia?). Hugh Jackman easily steps back into his most famous role, and lets the audience see a different side of the character this time. He was made for the role, and his effort makes up for some of the film’s shortcomings. Rila Fukushima’s Yukio isn’t quite the same character in the comics (here she has an ability to see the future), but she adds a spark as a free spirited warrior who appoints herself Logan’s bodyguard. It’s nice to see Famke Janssen again as Jean Grey, even if it’s not clear if she’s playing her spirit or just a figment of Logan’s mind. I like to think it’s the former. The cast also includes Tao Okamoto as Mariko Yashida, granddaughter of Logan’s old friend Ichiro, and love interest for our hero; Hiroyuki Sanada as Mariko’s father, Shingen Yashida; Will Yun Lee as ninja Kenuichio Harada, an ambiguous character throughout; and the cast’s weakest link by far, Svetlana Khodchenkova, as Viper (a variation on Madame Hydra/Viper from the comics). Khodchenkova is, frankly, terrible. Some old friends of the X-Men franchise show up in the post-end credits scene, which should leave fans applauding. Overall, The Wolverine is a solidly entertaining film that also serves as a bridge between 2006’s X-Men: The Last Stand and next year’s X-Men: Days of Future Past, but it’s still not the definitive Wolverine film. The post-end credits scene is pretty much pure glorious fan service in setting up next year’s film, so stay for it.